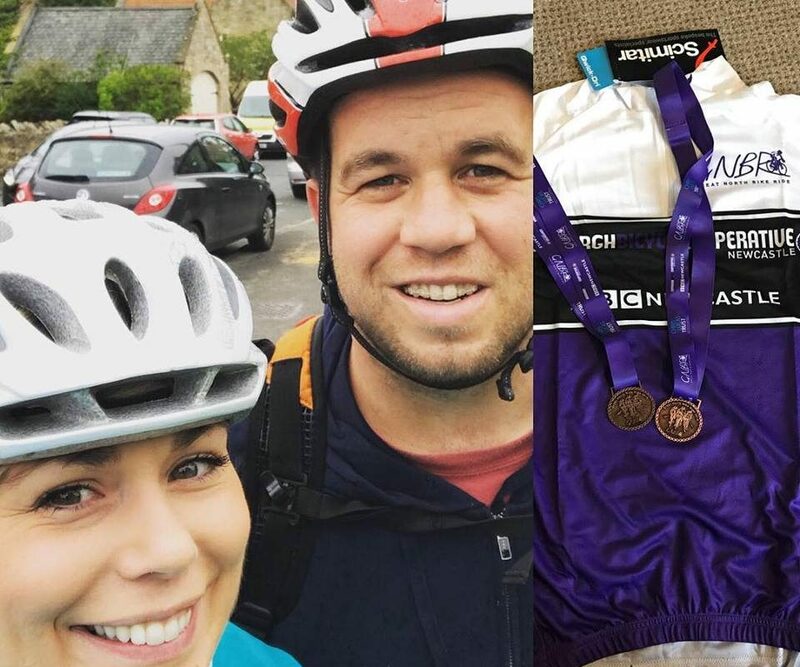 To our Dental Nurse Tanya and Fiance Bryce for taking part in the Great North Bike Ride on Sunday 26th Aug. This is a 60 mile ride from Seahouses to Tynemouth in aid of the Chris Lucas Trust. It was a wet and windy day for them but they made it to the finish line! Again well done to them both. The Chris Lucas Trust was set up after teenager Chris’s tragic death from rhabdomyosarcoma – a cancer that resembles muscle tissue – in July 2000. Chris’ parents, Lynn and Lynn, have so far raised over £2 million for research into rhabdomyosarcoma at the ICR and continue to fund raise through flagship events such as the Great North Bike Ride. Before being diagnosed in July 1997, Chris was a strong 15 year-old boy, who played rugby, cricket and basketball. After twice battling back from the disease, achieving great GCSE results and starting a career in graphic design, the cancer finally took Chris after three years. The Chris Lucas Trust hopes to enable the rapid translation of new targeted therapies into the clinic so that other families don’t suffer the same fate. Donations from the trust have already contributed to studies that found combining two separate molecularly-targeted therapies could block processes driving growth in rhabdomyosarcoma, a major cause of cancer death in children and young people. Offering hope for children and teenagers with Rhabdomyosarcoma Text RHAB18 £10 to 70070 or follow https://bit.ly/2oh5067 to donate to Chris Lucas Trust and make a difference.